Yesterday our daughter Leah and I were invited to the house of our friends, where they were having a potluck lunch, a small group Bible study on “Abundant Living,” and a Superbowl party. Call me sheltered, but I’ve never been to a Superbowl party before. I was excited about it. Our hostess, Ruth, was recording the game, and since the men were in another room eating chips and dip, we were able to fast-forward through the game to the commercials and chat. What fun! We did watch the last exciting 5 minutes of the game, though. For the potluck, we had taco soup (which had guacamole in it – YUM! ), and in our small group Bible study, we discussed the spiritual gifts, as well as personality. Our small group leader, Dave, gave us a personality profile test by Dr. Gary Smalley, using animals to represent the four types of personality: Otter, Lion, Beaver, Golden Retriever (other personality profile tests label these Sanguine, Choleric, Melancholy, and Phlegmatic). Our gifts, our personality, our intelligence, our talents, our skills, our likes and dislikes, all make up part of who we are, the unique person God created us to be for a unique calling and purpose. While there, I was looking at Dave’s and Ruth’s bookcases, and my heart quickened as I saw a book on one of the shelves: Master Potter by Jill Austin. 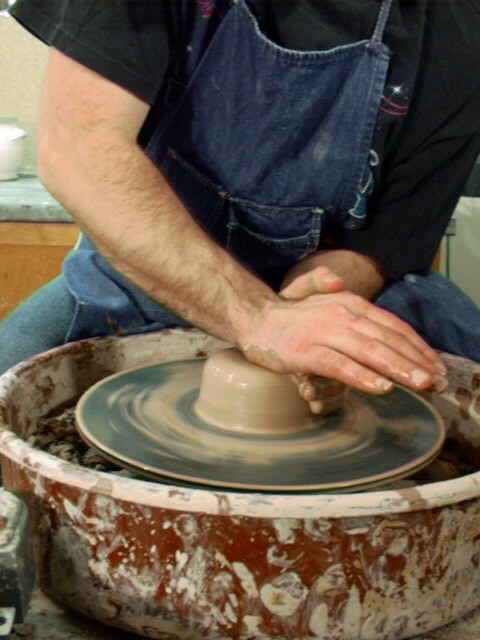 I’d never read it or even heard of it, but I was so excited because my friend Shelley Valasek and I just had a webinar called The Master’s Hands, on the topic of the Potter and the clay! I must crush you into fine dust. Have you ever been crushed by God? It’s painful. You just want the hurt to stop. But it’s to heal you, humble you, and set you free. I am rescheduling my portion of The Master’s Hands webinar soon, as we went into “overtime” during the webinar. If you want to be first to hear about when this webinar will be scheduled and upcoming webinars with other anointed speakers, be sure to sign up on my mailing list with your name and email address. You’ll also receive my free special report when you sign up. Chris, what are your thoughts on this? JoJo, that is amazing. You must feel like Daniel in the den of lions. This year one of our extended family members suddenly said he’s an atheist. It’s been very hard on all of us, especially on someone close to me who I love very much. We are praying fervently. Thank you for commenting. God may have crushed you many times, but He remade you into something wonderful. You inspire so many! I was born into a family of Atheists of Jewish decent who has chosen to stand up for Jesus. YES, I’ve been crushed and remade many times.